The LUX line by Liberty Tabletop offers their heaviest weight and most finely polished flatware pieces. Great attention is paid to the smallest of details from polishing in between fork tines to inspection for slight surface imperfections. 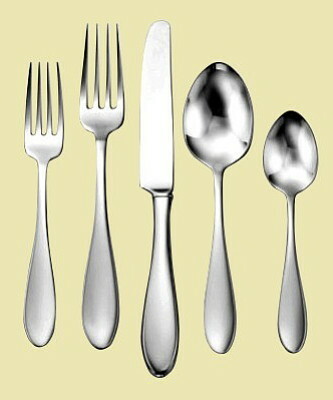 The forks, spoons and serving pieces are made from the finest 18-10 stainless to ensure decades of luster. The LUX knives feature an 18-10 hollow handle in the tradition of fine sterling flatware making using the best, hardened stainless steel blade. The LUX line meets or exceeds the highest industry quality standards and truly shines when compared to similar products found in high-end department and high-end specialty retail stores. The Betsy Ross pattern features an elegant teardrop shape with a mirror finished handle and bowl. Slightly larger than traditional American sizing; its sleek design along with exceptional balance and weight make it one of our most popular patterns!